If you are looking to play online pokies from Australia for real money, this is the right article for you. Check out the most popular pokies in Australia: the games are free, but you can win real money! 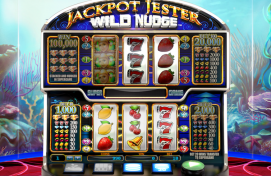 Of all casino games, online pokies are easily the most popular choice among the residents of Australia and New Zealand. If you are looking to play online pokies from Australia for real money, then you've come to the right place, as this article will try to give you some of the best choices out there and help you find the most generous bonus offers and wide range of online pokies to satisfy anyone's taste. Online pokies for real money in Australia are offered at a number of big sites and Kiwis are welcome on almost all online casinos. However, some of them are more oriented towards the Australian market and, as a rule, you will have a better overall experience playing with these rooms. What should Aussie players focus their attention on when choosing where to play? First of all, there are some general things, like the trustworthiness of a particular casino and the overall payout percentages. Big casinos usually have this information publically available and you should be shooting for the 96%+ range. If you are playing online pokies in Australia to win real money, then you should definitely take a careful look into the bonuses offered, the free spins, and the playthrough requirements. Don't be seduced by huge 500% offers which require you to play 50+ times of the bonus amount. Bonuses in the region between 100% and 200% are usually the safest bet, provided they have 25 - 30 times playthrough requirement. You will still need to get a bit lucky (as you usually do with pokies), but these are achievable numbers. If you are not familiar with the world of casino bonuses, you might want to read a quick guide I published some time ago titled Deposit Bonus Vs. No Deposit Bonus: What's Best For You? Another big thing for players from Australia is the ability to make deposits and withdrawals in their domestic currency (AUD). This will not only save you from losing any money in the conversion fees but you will also avoid some headaches when trying to figure out how much $50 is in AUD. Observing the above advice, I will now suggest a few casinos which meet these requirements. Of course, there are other considerations, especially the available selection of pokies. Some players will be looking to play Aristocrat pokies online from Australia for real money because they enjoy the classic feel of some of their games, while others prefer to indulge in popular titles referencing blockbuster movies and TV shows. One of the forerunners in the industry, William Hill Vegas comes highly recommended. Offering a 100% bonus up to $100, the casino is clearly focused more on casual players looking to have some fun while playing online pokies from Australia with real money. The playthrough requirement is 30x which, as explained earlier, is reasonable. William Hill runs on Playtech software, meaning you will find great games like The Gladiator pokies or The Avengers pokies. Those who enjoy the thrill of chasing a big jackpot will not be left wanting on William Hill casino either. Click here to visit William Hill Vegas. Those more nostalgic and looking to play online pokies for real money in Australia should definitely check Energy Casino. 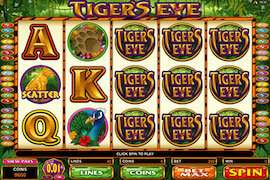 Their online pokies selection consists of titles like Book of Ra, Roaring Forties, Lady Luck, and Dolphin's Pearl. While some may enjoy more "stylish" new games with complicated features, Novomatic games have always been my favorite and it is a bit disappointing that more casinos do not offer these pokies. Energy Casino is also quite generous with their bonus offers, as you can receive €5 completely free to give the games a test run. No deposit is required – simply click here, register, and play. Apart from that, Australian players are also eligible for a 100% bonus up to the equivalent of €200 (around AUD300). However, the playthrough requirement is 40x the entire amount (bonus + deposit), which is a bit higher than usual. Click here to visit Energy Casino. Another one of the industry leaders, 888casino is another great choice to play pokies for real money in Australia. With a generous 100% bonus up to $200, you will immediately get a nice boost to your bankroll and more spins at your favorite pokies. The standard playthrough requirement is 30 times the amount, but if you use Neteller, which is a very popular method in Australia and New Zealand, then you will have a 40x wagering requirement. 888casino is powered by the Random Logic software, which means the pokies you will find there include the games like Gonzo's Quest, Starburst, Irish Riches, The Big Lebowski, and many more. Click here to visit 888casino. All Slots Casino is a good choice for more experienced players playing online pokies in Australia to win real money. Their unique bonus structure of up to $1,600 is quite interesting and rather generous. 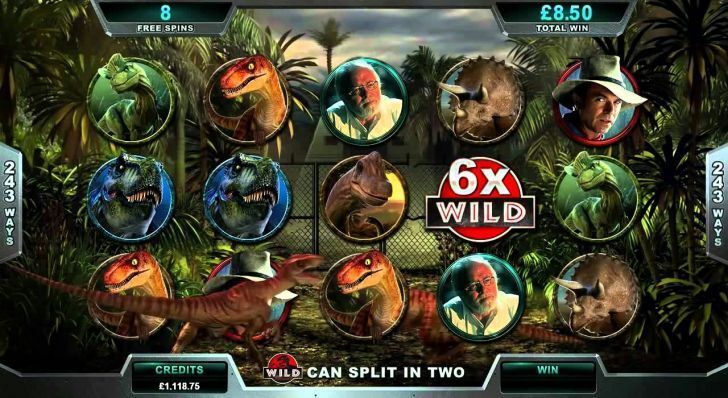 That's plenty of free money to go around and spin on Microgaming slots like The Game of Thrones, Stardust, Jurassic Park, and many other well-known titles. Click here to visit All Slots Casino. The last but not the least in this selection of online pokies for real money in Australia is Slots Magic. This casino actually features several pokies providers, including NextGen, XPG, and Williams Interactive, so there will be something for everyone. In terms of bonuses, you will receive a welcome package of up to AUD600 on your first three deposits, accompanied by 200 free spins in total, giving you a lot of opportunities to win some serious cash. Click here to visit Slots Magic. Apart from being very entertaining, online pokies can actually be quite profitable if you play your cards right and know how to pick your bonuses. As you could see, there are many offers to pick from these days and there is no reason why you, being either serious or just casual pokies players, shouldn't take advantage of them. There are no legal obstacles to playing online pokies for real money in Australia so you shouldn't be concerned about any potential ramifications. Just make sure to find the deposit methods that work the best for you, as certain banks will still create issues with transactions. Test the waters and see what happens. Going with online wallets, like Skrill and Neteller, is probably your safest bet. Also, don't pass on good bonus offers just because a particular casino doesn't have your favorite online pokies. I used to do this but later realized that with so many pokies to choose from, every manufacturer probably has at least few games that should fit everyone's taste. 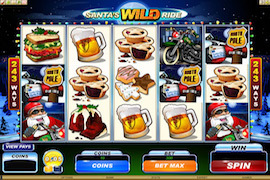 In addition, online casinos often introduce new games so you might be pleasantly surprised half way through your bonus. Have fun and enjoy the ride. There are a few things that can get your blood pumping like a big win on online pokies, guaranteed!